McLaren driver Carlos Sainz has defended his decision to quit Red Bull Racing after claims from boss Christian Horner that new driver Pierre Gasly has "more potential" than the Spaniard. Earlier in the week, Horner claimed that signing the Frenchman instead of Sainz was the correct decision, as they believe Gasly has "more potential for us". 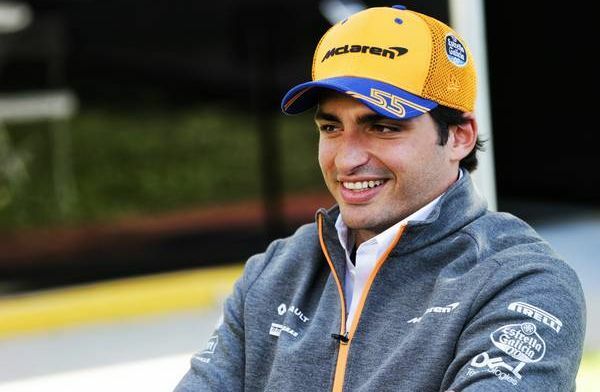 Sainz previously drove for Red Bull, and drove for Renault at the end of 2017 and throughout the 2018 season, only for his seat to be taken by Daniel Ricciardo, acknowledges that he lost the chance to drive for Red Bull when he joined Renault from Toro Rosso. "It could have gone either way, me or Gasly, but I know when I left Toro Rosso to go to Renault, I really lost my ticket to go to Red Bull," Sainz explained to AS following the Australian Grand Prix. Sainz started his Formula 1 career at Toro Rosso, but he became increasingly-frustrated with a lack of progress at the Red Bull junior side and took the opportunity to replace Jolyon Palmer at the French works team. "I did that consciously, and I still believe that it was a good decision for my future," the Spaniard continued. "As you can see, I am calmer and happier than ever. "I look at my experience with Red Bull only as positive because without them I would not have been in F1. Yes, there were times when I would have liked more independence to make my own decisions, but deep down I must be very grateful. "Right now, if you're not in Red Bull, Ferrari or Mercedes, I think the best place to be is still McLaren. I prefer to be here with a two-year contract, and I would not change my seat for anything."